The American Urological Association (AUA), along with other organizations, issued a statement yesterday regarding their reactions to the new, draft guidance issues by the U.S. Preventive Services Task Force (USPSTF). The full text of this statement is available on line. 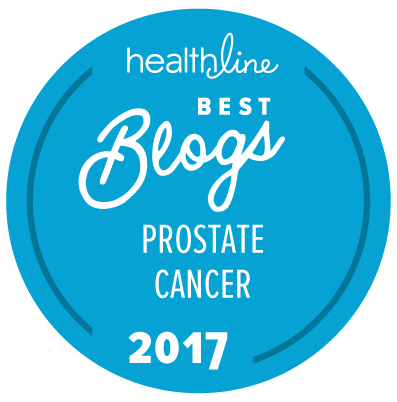 It is supported by some but not all members of the prostate cancer advocacy community. Prostate Cancer International had originally agreed to sign on to an earlier draft of this document. However, that draft was altered to include language suggesting that “legislation is needed to ensure transparency and regular input in the process from interested stakeholders and specialists with appropriate expertise.” We subsequently withdrew our support for the revised statement. In the humble opinion of Prostate Cancer International, the USPSTF has clearly shown that it has a strong grasp of how best to move forward with the involvement of input from external, interested parties in the development of guidelines for screening for a multiplicity of disorders. We do not believe that legislation is currently “needed” to enforce such processes, and we are concerned at the way in which legislative actions are now taken constantly to “manage” medical care in this country — often to support the perspectives of only a subset of the interested parties. Prostate Cancer International believes that the USPSTF should be encouraged to continue down the new path that it has taken as opposed to having to constantly check whether what it does meets the letters of a law that has basically been written by only one set of interested parties. The USPSTF should continue to have the freedom to point out (when they believe this to be the case) that the available data do not necessarily support the fervently held beliefs of a subset of the interested parties. We would further point out that the new draft guidance does not recommend mass, population-based screening for risk of prostate cancer. It endorses shared decision-making between physicians and their patients about the value of PSA testing and its use in testing individuals for their risk of prostate cancer based on a range of possible factors. I am not sure why anyone would not support more “transparency,” but legislating “input” could be heavy-handed, depending what groups are being mandated to participate. Can you please elaborate? This is a long and complex subject, but here’s a link to the text of the proposed legislation, which (in our opinion at least) pretty much removes the autonomy of the USPSTF to make epidemiological recommendations about preventive medicine without the potential for interference from almost any other organization that claims relevant “expertise”. It also states that the USPSTF’s panel members must include persons with conflicts of interest about every specific topic under discussion. It’s one thing for such persons to be able to express their opinions about the USPSTF’s findings and recommendations. It is quite another to insist that such persons be members of the panel making the recommendations.